WASHINGTONPresident Obama on Monday again bemoaned the political environment surrounding the presidential elections and called on journalists to hold candidates and themselves to a higher standard. "I know I'm not the only one who may be more than a little dismayed about what's happening on the campaign trail right now -- the divisive and often vulgar rhetoric that's aimed at everybody but often is focused on the vulnerable or women or minorities," he said. John Kerry: 2016 campaign trail rhetoric on Muslims is an "embarrassment"
Some may be more to blame than others, the president said, but all of us are responsible for reversing it. 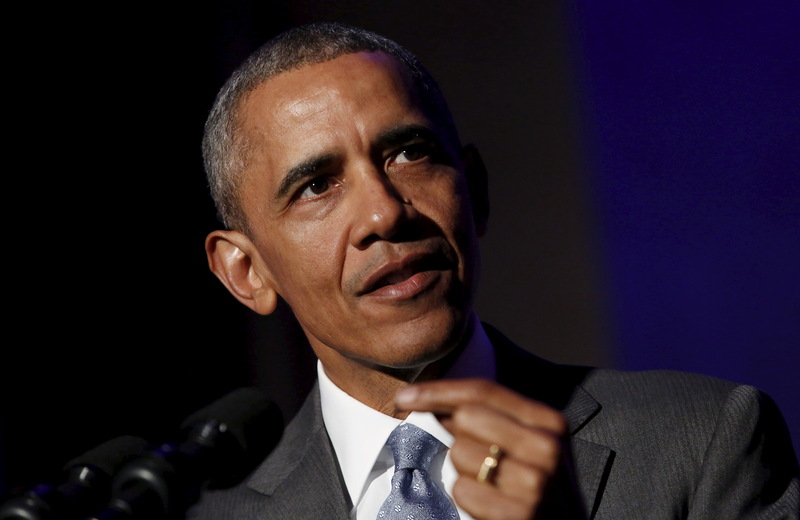 Mr. Obama spoke at the presentation of the Toner Prize, named for Robin Toner, the first woman to be national political correspondent for The New York Times. During her nearly 25 years there, Toner covered five presidential campaigns. She passed away in 2008. The president said the number one question he gets when traveling the world is "What is happening in America?" He said it's because people abroad understand America is the place where you "can't afford completely crazy politics," and they care about the most powerful nation on earth functioning effectively. "We are all invested in making this system work. We are all responsible for its success, and it's not just for the United States that this matters, it matters for the planet," Mr. Obama said. Mr. Obama returned from his trip to Cuba last week and recalled the news conference he held jointly with Cuban President Raul Castro. He described the event as remarkable as the two leaders were forced to answer tough questions that were televised to Cubans, and the world. "A job well done is about more than just handing someone a microphone. It's to probe and to question and to dig deeper and to demand more," the president said. "The electorate would be better served if that happened. It would be better served if billions of dollars in free media came with serious accountability, especially when politicians issue unworkable plans or make promises they cannot keep." He says he understands there are pressures "to feed the beast" with more gossipy, softer stories, but that leads to consumers failing to understand the world as well as they should, which has consequences for the country. The point of politics, the president said, is not just the amassing of power - it's what you do with the power that's been lent to you.